Even the simplest planting can nourish wildlife, inspire our neighbors and lift our spirits — just when we need it the most. HELLO, AVID GARDENERS. You of the nonfashion-forward tan lines and roughened hands. You know who you are. Last month, while everyone else was boating, hiking and generally off enjoying the glories of our Pacific Northwest summer, you were pruning the crabapple hedge. No? Maybe that was just me. But I’m sure, like me, you’re familiar with the refrain: Why do you spend so much time on “yardwork”? We can crow all we want about the creative satisfaction and delicious rewards of composing plant combinations, gathering a backyard bouquet or fresh herbs for dinner, or watching birds and wildlife. And berries! But still we get: Can’t you hire that/buy that/move to a condo and watch a nature show? Well … what if I told you that, even more than blossoms, birdsong and berries, gardening matters? Our increasingly hot and crowded environment needs more gardens — and more gardeners. Every time we thoughtfully tend our beds and borders, plant up a median strip or traffic circle, or campaign to save urban green space, we’re making room for natural systems to function in a way that nourishes wildlife, sustains pollinators, absorbs rainwater and filters toxic runoff. What’s more, these beautiful botanical cracks in our urban landscape inspire more of the same — spreading like a horticultural contagion throughout our neighborhoods. You see, we’re not just decorating a space; we’re creating a place. Sure, our gardens provide us with an expressive outlet and offer personal respite; I love the hours I spend plotting and puttering among the perennials, especially at this time of the year, when it’s all a crashing crescendo of swaying ornamental grasses and towering blooms. But there’s so much more going on. Those same blossoms also nourish butterflies, bees and beneficial insects, and the compost-rich soil beneath my feet teems with millions of microbes and life-forms. Those berries? Well, let’s just say: The birds love my garden. Aesthetically, a nature-friendly garden can be “naturalistic” in the conventional sense of the term, or formal, or anything on the spectrum between the two approaches. The choice is yours. What’s at work is the process — the relationship between the soil, plants and your unique site conditions. 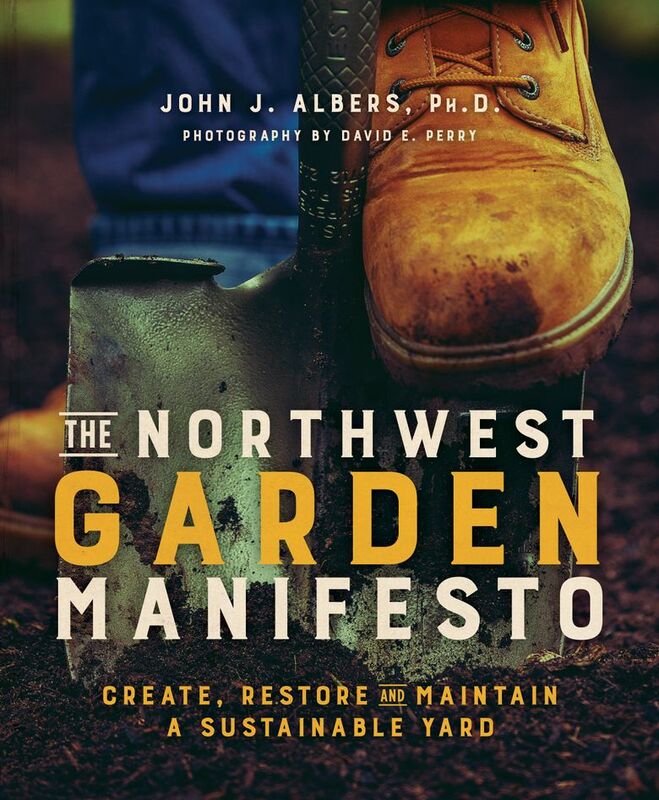 For a crash course in creating a healthy landscape, pick up a copy of “The Northwest Garden Manifesto: Create, Restore and Maintain a Sustainable Yard,” by John J. Albers (Skipstone, 2018). Grounded in organic principles and conservation ethics, and beautifully illustrated with photos by David Perry, Albers shows how gardens, even the smallest backyard, can play a productive role in supporting an environment under pressure. 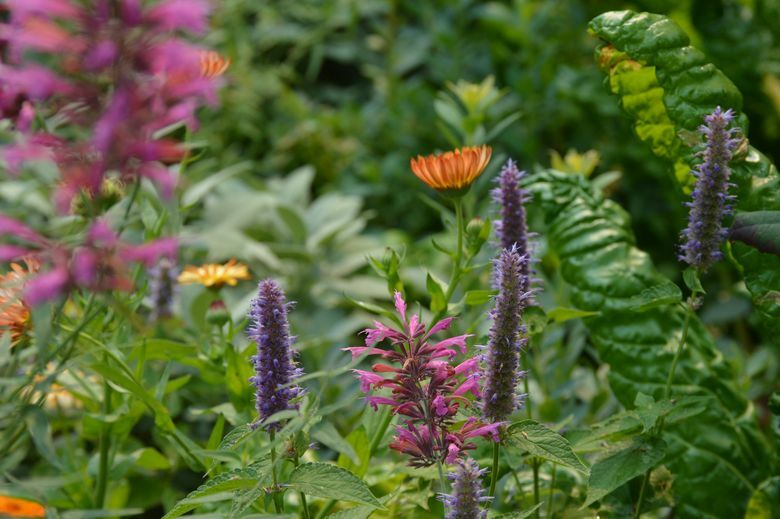 In chapters on building good soil, maintaining healthy plants, managing resources and providing space for wildlife, Albers draws a direct line between the health of our gardens and the health of our planet. Creating a beautiful nature-friendly garden is an optimistic approach to environmental stewardship, and a refreshing change from the doom and gloom we typically hear. And as gardeners, you and I can be a part of that solution. What a wonderful thing. Lorene Edwards Forkner is an author, speaker, and editor. Follow along at ahandmadegarden.com and on Instagram @gardenercook.